LOVE this sea urchin! 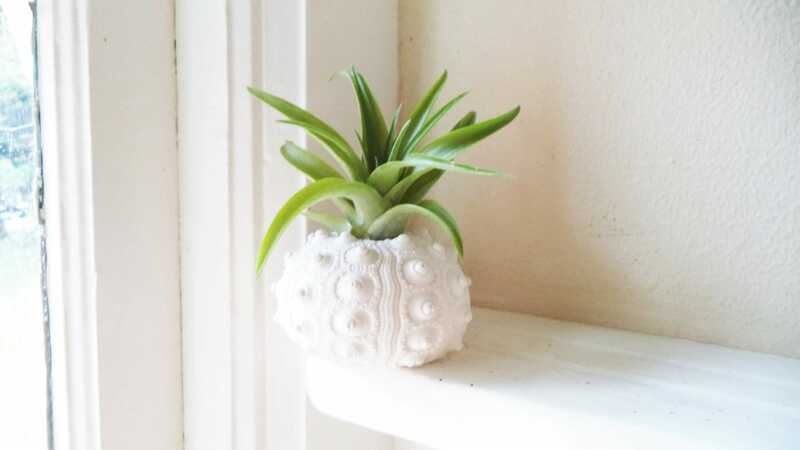 Super fine details, simple yet so intricate! I live by the ocean, but don't always have time to enjoy it.... this is a sweet little touch of the beach to keep on my desk! Measures 3" across and 1.75" tall. I make each one from scratch, cast in gypsum, drilled, cleaned, oven dried, sanded, cleaned again, primed and painted! Hole for air plant will measure 7/8". Please see the photos, shown here in matte white... 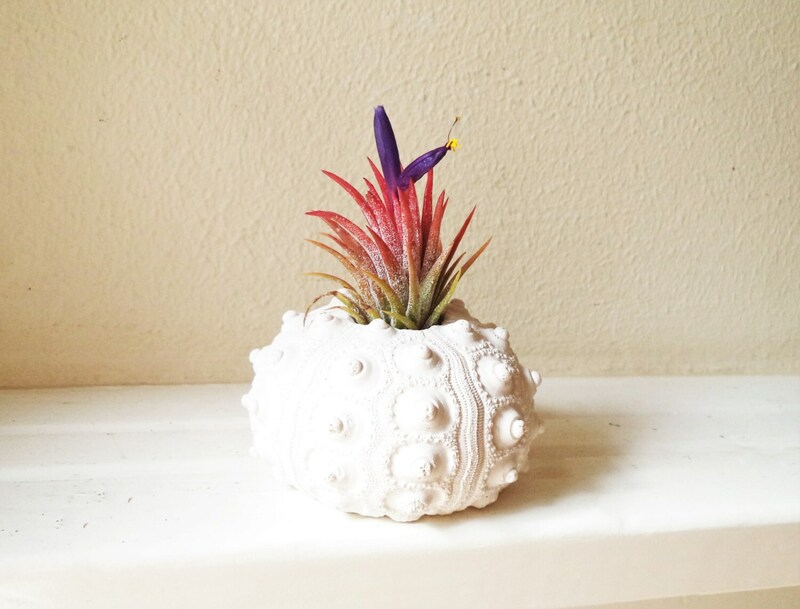 I am happy to make your urchin in any color you want! Let me know if you want a color not shown in the options! 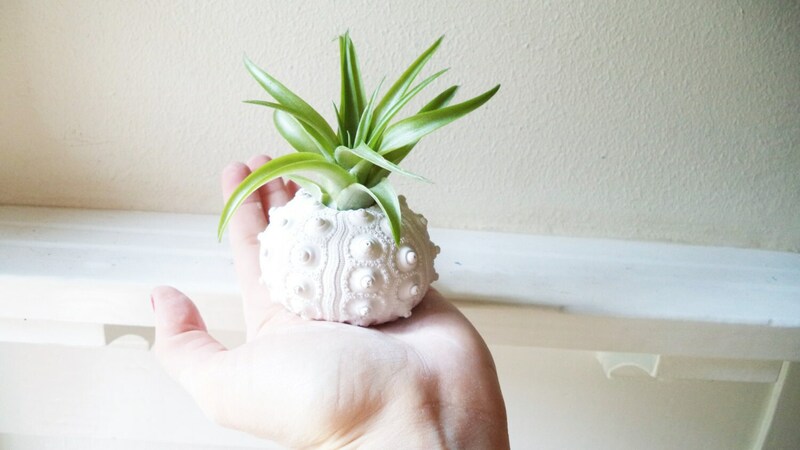 See my shop for more unique planters and handmade home accents. Super cute! Small, but lovely detail. Came securely and safely packaged! Great gift. Took a long while to arrive but otherwise happy. Beautiful! 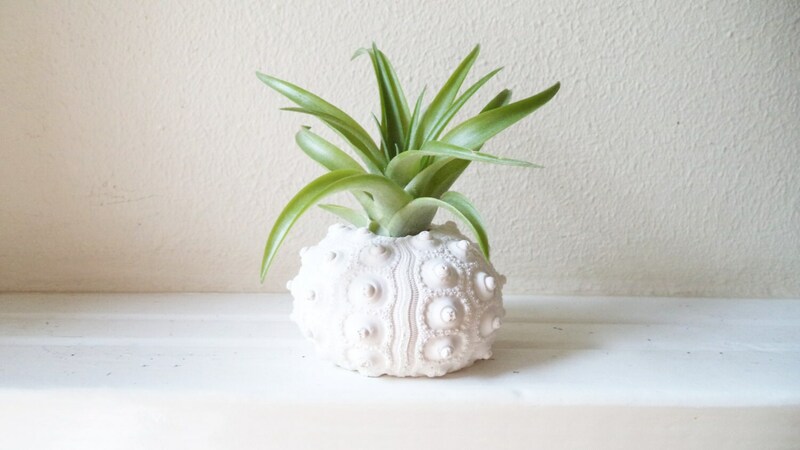 Very detailed planter, exactly as pictured. love love love love looove!